7x7 is completely free. You will receive your free copy when you subscribe to this site (for free of course) through the box below. This means you'll also receive the free monthly e-zine "More Growing Raw". 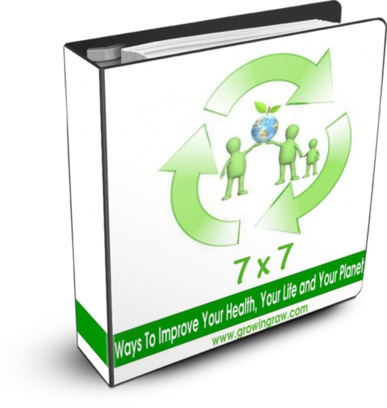 I hope that you will find "7x7 Ways to Improve Your Health, Your Life and Your Planet" an inspiring and helpful guide as you stride towards better health.